Netflix is going across the pond for their latest original series, with Radio Times reporting that the streaming service has signed on to air new episodes of the hit U.K. series Black Mirror. While this deal hasn't been made official yet, the site reports that Netflix has come to terms with Black Mirror series creator Charlie Brooker to create "multiple episodes" of the series, but it isn't known exactly how many episodes were ordered. The sci-fi anthology series debuted in 2011 on the U.K. network Channel 4, with the first two seasons consisting of three hour-long episodes. Channel 4 also produced a Christmas Special that debuted in December 2014, but this is the first we've heard about a new season. Series creator Charlie Brooker is currently writing the new episodes, but it isn't clear yet who may star in the series. Each episode of the first two seasons, and the Christmas Special, featured a different cast, with the Christmas Special starring Jon Hamm and Rafe Spall. The series examined the "dark side" of technology and how it relates to our own humanity. Other actors who have starred in various episodes include Toby Kebbell, Domhnall Gleeson, Jessica Brown Findlay, Rory Kinnear, Michael Smiley and Hayley Atwell. If the show follows it's current format, it could keep bringing in high-caliber stars, who would only be required to shoot one episode, instead of a lengthy arc. Netflix wouldn't comment on the story, but a source from Channel 4 revealed the network would have a first look deal with all of the new episodes, meaning they would air on the network first before debuting on the streaming service. The streaming service added Black Mirror to its lineup back in December, with some fans even hosting Black Mirror viewing parties. The first two seasons are currently available, but the Christmas Special hasn't been added yet. 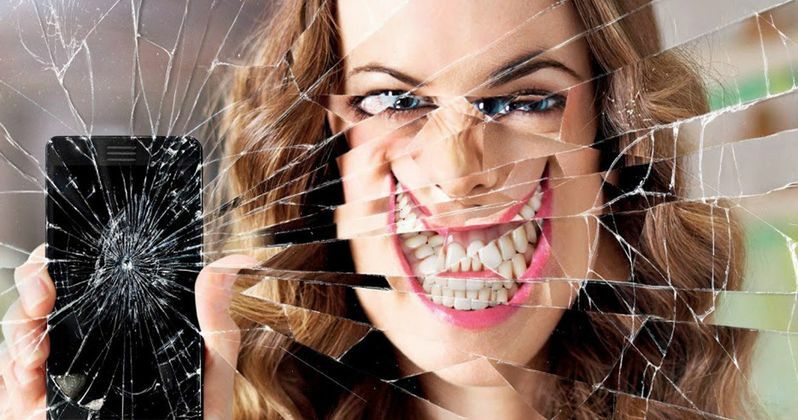 If this news is confirmed, Black Mirror will join a strong Netflix lineup that includes House of Cards, Hemlock Grove, Orange Is the New Black, Unbreakable Kimmy Schmidt, Bloodline and the most recent addition, Narcos, just to name a few. Are you looking forward to new episodes of Black Mirror on Netflix? Stay tuned for more on Black Mirror's transition to Netflix as soon as more official details are released.